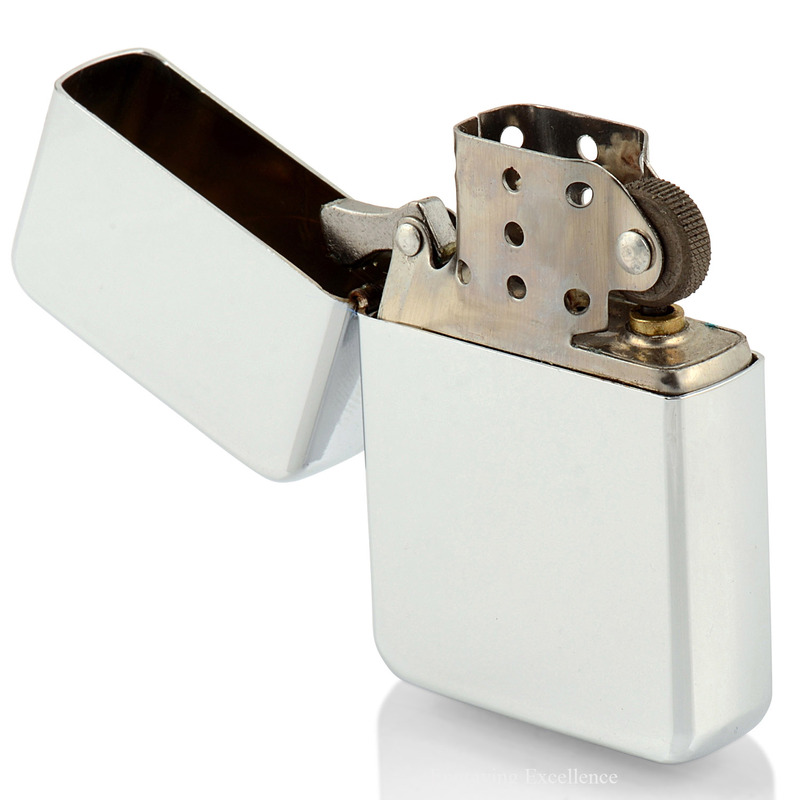 This lighter will make a perfect gift - both attractive and practical, and we're sure you'll be delighted with it. It's highly polished and looks great. 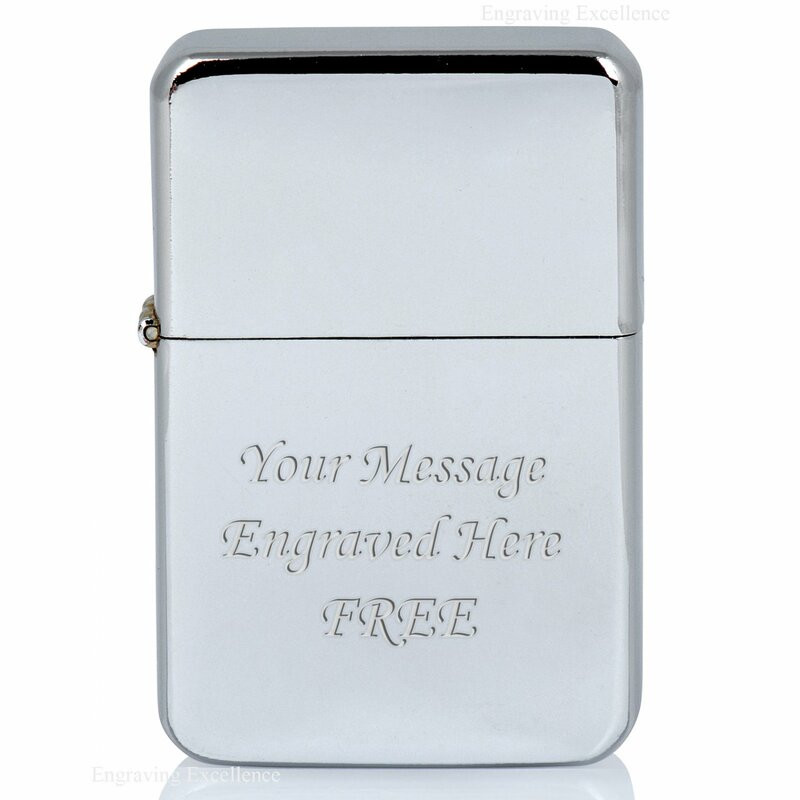 You can send us any message of your choice, and we will engrave this on the lighter totally free of charge. Maybe a simple 'Happy Christmas 2011', or perhaps something a little more personal. 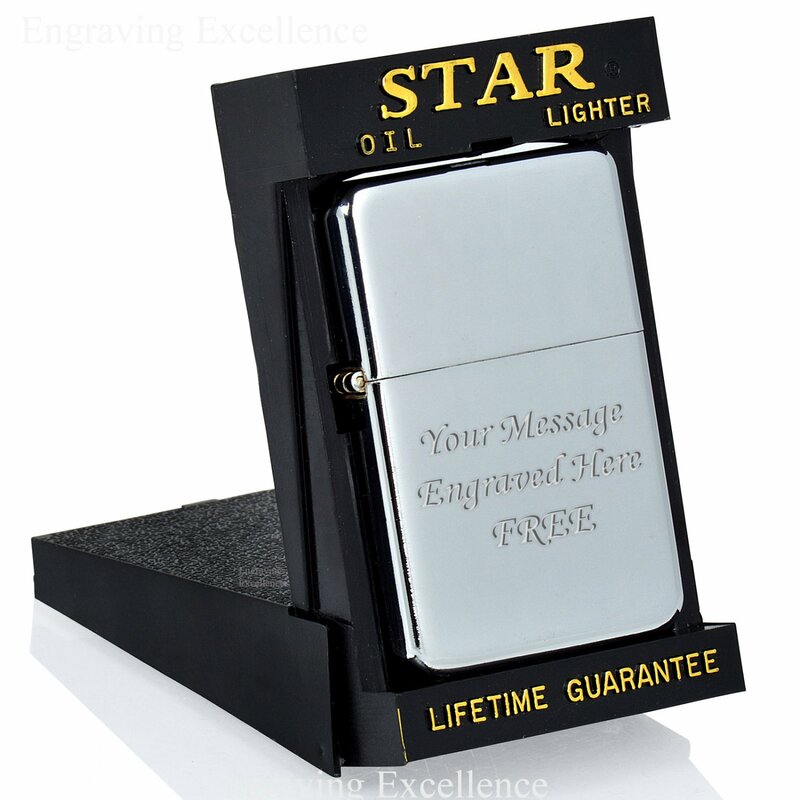 Whatever message you choose, it will be expertly engraved and make whoever receives this lighter feel very special. Due to postage regulations, the lighter will be shipped empty of fuel, but it's very easy to fill with lighter fluid available at supermarkets for around £1. On this lighter we engrave up to 5 lines of 15 characters each (including spaces).